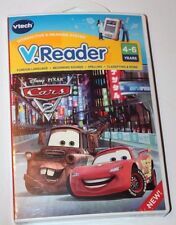 NEW Vtech V.Reader Disney PIXAR Cars 2 (4-6 Years) in new condition. Choose your story parts, personalize your story and watch your story on TV. Ages 5 years. This has been tested and works great. ALSO YOU ARE AGREEING TO NOT FILE ANY DISPUTES IF ANY PROBLEMS SHOULD ARISE BECAUSE OF IT. You must wait for invoice to be sent to you. I do not claim to be an expert on any item I have for sale. For Use with V.Reader Interactive E-Reading System. Classifying & More! Beginning Sounds. Probably not, but we don't know. We don't want to take anyone by surprise. 4XL 64" 48 - 50". 3XL 60" 44 - 46". 2XL 56" 40 - 42". X-Large 52" 36 - 38". Large 48" 34 - 36". Small 40" 30 - 32". TEACHES: Phonics, Vocabulary, Consonant blends, Long & Short vowel sounds, Comprehension, Punctuation, Possessives, Antonyms, Rhyming, etc. 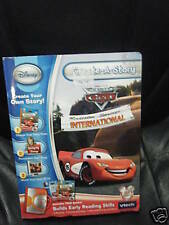 Disney Pixar CARS Radiator Springs International. NEWVTECH - BUILDS EARLY Reading Skills. 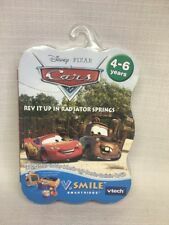 Vtech v.smile v.motion-Active Learning System - Disney PIXAR Cars - Rev It Up in Radiator Springs with NEW Head to Head Play! Teaches Letters, Vocabulary, Mathematics, Logic and More! I want you to be confident in the decision you are making. DISNEY PIXAR CARS 2. SPELLING. FOREIGN LANGUAGE. READING SYSTEM. We will try our best to save you as much as possible. 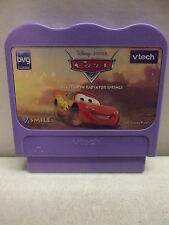 VTECH V.SMILE MOTION DISNEY PIXAR. CARS REV IT UP IN RADIATOR SPRINGS NEW. It's that simple. We travel constantly from the Florida Keys to the mountains of Eastern Kentucky searching for the odd and unusual. We work with a team of pickers that are constantly on the prowl for antiques and collectibles. Condition is New. This is a LOT of 3 VTech VSmile pocket learning system and smartridge. Will he win the race?. - Item Weight: 4.2 ounces. - Teaches reading skills such as comprehension, vocabulary, grammar and more. - Full color animations bring the story to life. Product Details. Is Mater in over his head or does he has what it takes to be a super spy?. Is Mater in over his head or does he have what it takes to be a super spy?. Based on the upcoming Pixar movie, "Cars 2". Teaches math, logic, spelling, vocabulary.